Paperpetals flowergirl's posy, custom-made from new and recycled paper, in your wedding colours. This posy is 12cm diameter, on a ribbon so your little person can hang it on her wrist. High cute factor! 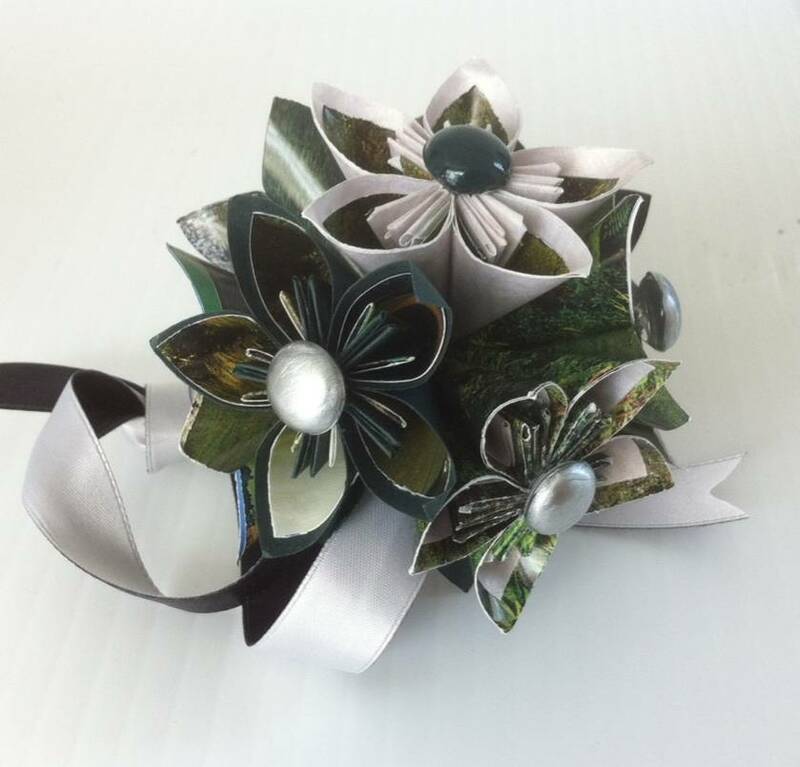 My Facebook page is https://www.facebook.com/Paper-petals-715024712010093/ to see more examples of my work.